The AR platform was born in 1959 and has been the United States' primary battle rifle ever since. We are proud to continue its lineage with our own line of custom-built pistols, carbines, and rifles. Click below to see examples of our expertly designed ARs. Our side charging ARs are built for our most demanding gunfighters. They allow you to cycle your weapon without changing your grip. Contact us today to get your very own custom AR. Click below to see examples of our custom-built side charging ARs. It's hard to deny the power of a shotgun. From the youth-friendly 410 to the ever-popular 12 gauge, we build combat-oriented shotguns that you can trust when you hear that bump in the night. Contact us today to build your very own combat shotgun. Following in Henry Ford's footsteps, major gun manufacturers decided black would be their primary color of choice. We're not going to complain; black is pretty cool in our book. However, here at Mission Ready Gunworks, we provide our customers with a few more options. We have formulated our very own exclusive color, "Pale Horse". The dark metallic gray color catches just a bit of light to give your AR a truly unique finish. 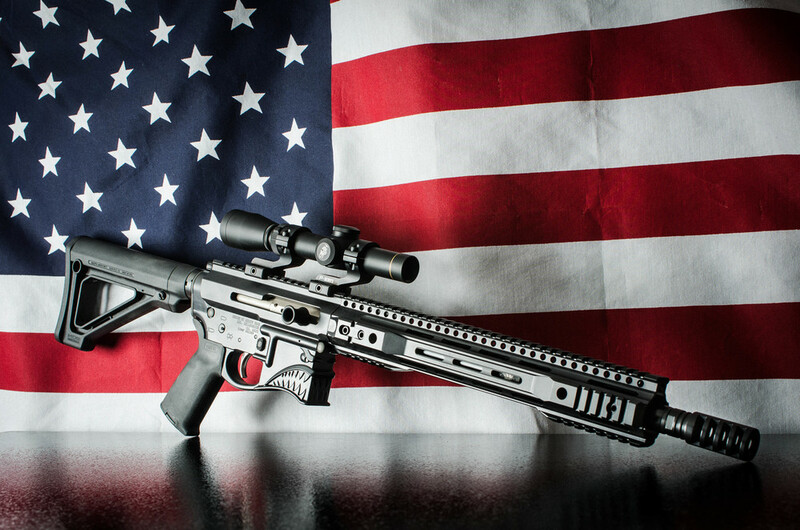 Click below to see a gallery of our custom finish ARs. Most of our clients will work with us to create a custom AR to suit their needs. However, from time to time, we have a few guns already built and available for purchase. Click below to head on over to our blog and look through our recent builds.